Dr. Nazli Anum started her career as an audit assistant at a public accounting firm in Kuala Lumpur in 1988. During her employment at the audit firm, she was involved in audits of manufacturing, banking, insurance, plantation, mover companies and cooperatives. 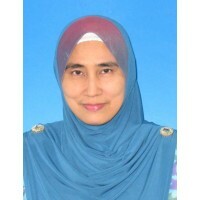 In 1991 she joined the International Islamic University Malaysia as an Assistant Lecturer. Since then she has been teaching at the Department of Accounting, Kulliyyah of Economics and Management Sciences (KENMS) except on two occasions when she was awarded scholarship and approved for study leave to pursue her Masters (Oct 1991 a?? Sep ... show more tember 1992) and PhD ( October 2001 a?? November 2004) degrees in the United Kingdom. Administratively, she has held positions including Finance Advisor at the Management Centre (now known as the Graduate School of Management), Postgraduate Coordinator and Head of Department at the Department of Accounting. Dr. Nazli Anum was a member of the Sub-Committee (Financial Accounting and Reporting) for the Reassessment of the Accounting Programme at Public Universities in 2006 which was set up by the Ministry of Higher Education in 2005 to review accounting programmes in Malaysia which was implemented based on Hala Tuju 1. She has been an associate member of the Malaysian Institute of Accountants (MIA) since 2007. In 2013, she was appointed by the MIA as a member of the Task Force for the review of the Bachelor of Accounting programme conferred by University Technology MARA. Dr. Nazli Anum has published research papers in international refereed journals in the areas of disclosure and corporate governance. She is a recipient of the Emerald Literati Network Highly Commended Paper Award in 2009, 2011 and 2014 for papers published in Social Responsibility Journal, International Journal of Commerce and Management, and Asian Review of Accounting. She teaches Company and Group Accounting at the undergraduate level and Accounting Research Methods at the postgraduate level. She is presently a Professor and the Deputy Dean (Academic Affairs) at the KENMS.